(only 28 days) has flown by. How to do Tim’s tag HERE . This is my attempt at the Feb, tag. I had way to much fun with this tag as you can see. I did take a few liberties here. 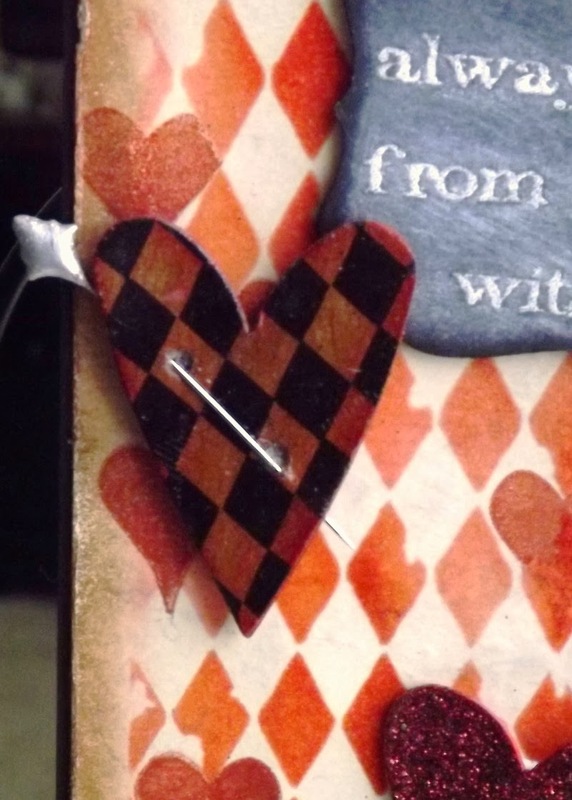 mine is the Harlequin stencil. mine is stickers from Outline Stickers. 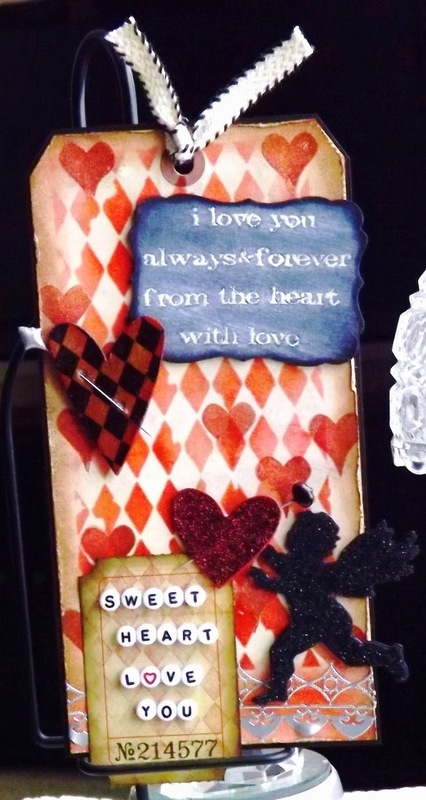 so I used stamps from the Simple Saying set. 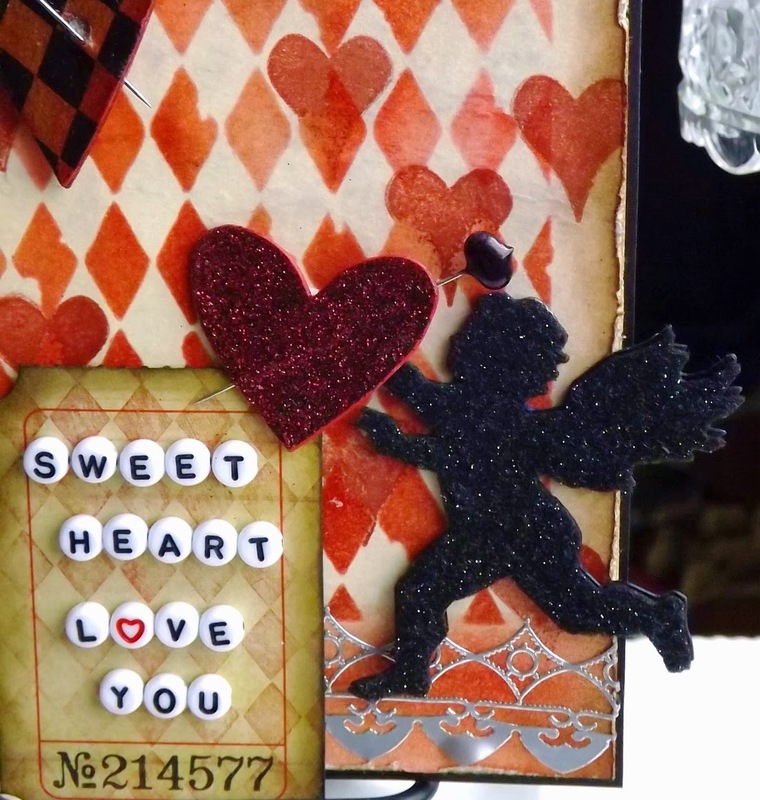 the cherub is double layered cardboard covered with black glitter felt. and I added the small letter beads. 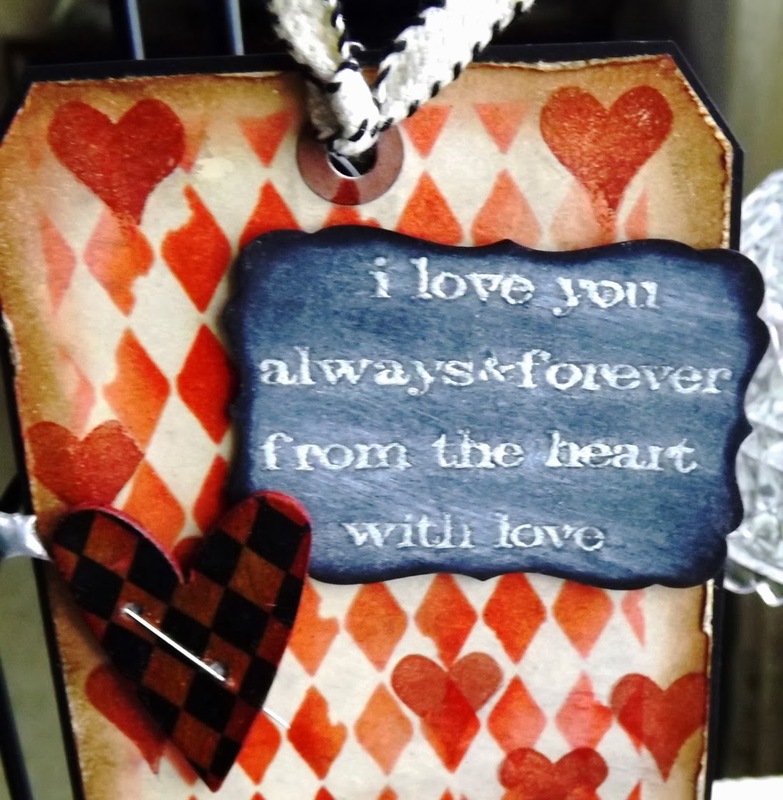 which almost looks like a wood grain heart. 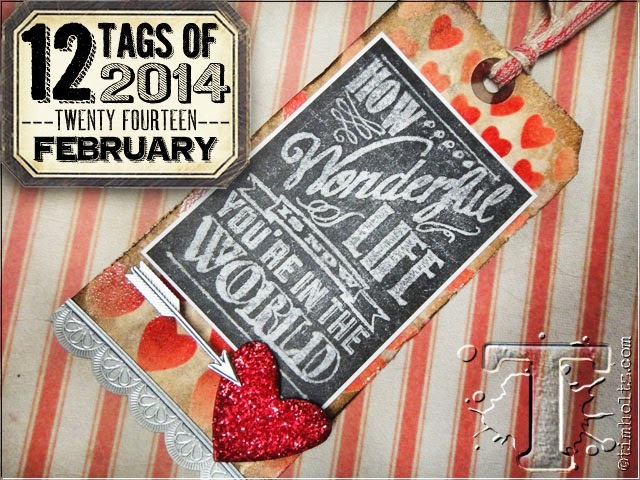 I hope you will pop over to Tim’s Tag for Feb, 2014 and give this a try. What a lovely take on Tim's tag. Happy Valentine's Day. We all take liberties!!! Vada, you have rocked this tag! 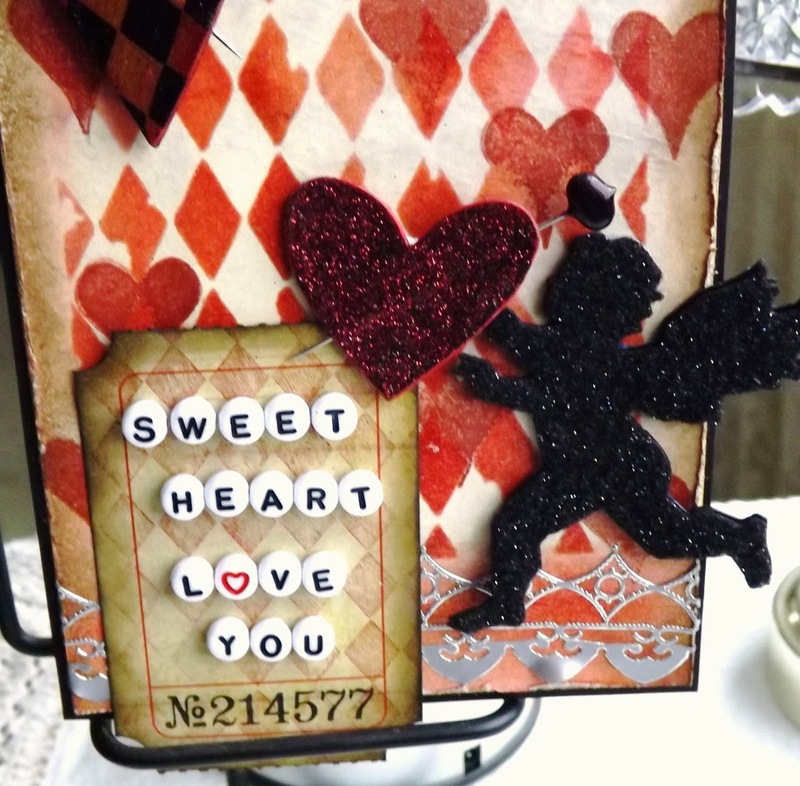 Love all that stenciling and cupid is such a sweet treat! 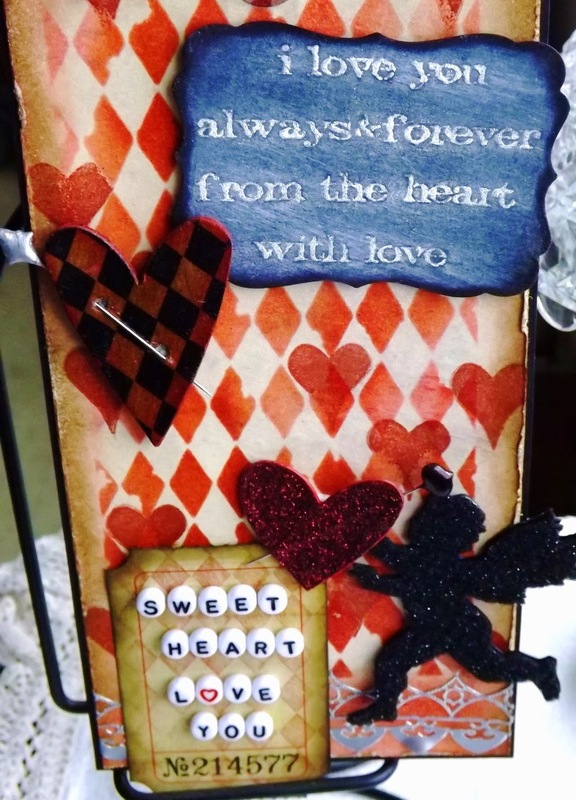 Happy Valentine's Day and Weekend! Hugs! Your background is eye popping! What a fabulous take! Gorgeous!